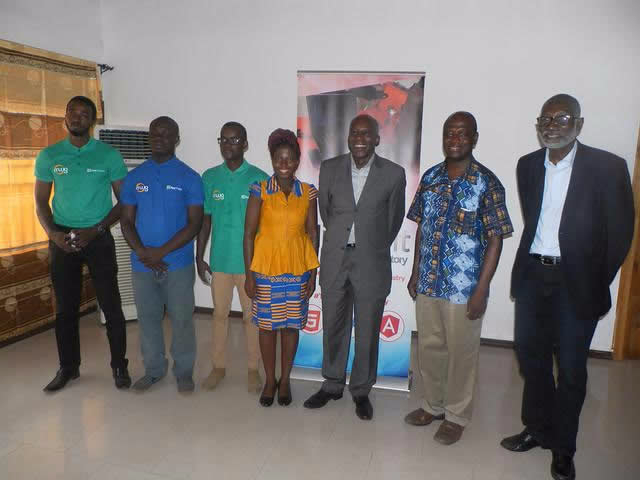 Microsoft Ghana has partnered with Mobile Web Ghana to officially launch, The Ghana AppFactory. The AppFactory, a Microsoft 4Afrika initiative, was setup to help people with a great idea for an app get it built. The program which has ben set up in South Africa, Egypt and Nigeria finally gets rolled out in Ghana. Mobile Web Ghana partnered with Microsoft to roll out the program in September 2016 when they opened up applications. The first cohort were received and trained. To crown that, there has been an event at the Mobile Web Campus to officially Launch the program. What is App Factory Program? The AppFactory is aimed at equipping young software developers and coders with hands-on experience, while helping them build critical business skills to secure jobs or create their own businesses. Participants will be mentored by senior software architects and app developers on how to design, implement and manage complex projects. The AppFactory is a four month fully sponsored program. The selected individuals will be trained on Microsoft Technologies including Mobile Development, Web Development, Windows Development, etc.. The program allows fellows at the end to either launch their own businesses or secure placements with affiliate organizations. Skills development is critical if Africa is to be a key player in the age of digital transformation. Many of our youth have brilliant ideas for apps but don’t have the time or resources to make these ideas a reality. Application for the second fellows of the program will be announced in the second week of March and closed before April 2017. *We’ll update this page with the application link, so do check back* Also this isn’t going to be a very big class so if you are interested, apply early when applications are opened. The program requires that you have basic skills in a high level programing language at least. It doesn’t matter which language, whether PHP, C#, Python, etc.. Interested in being an AppFactory fellow? Been a fellow in another country? Tell us what you’ll be looking forward to, or share your experience with us in the comments. Female coder? Microsoft invites you to the Codess Kenya event.